Blessings, Miracles, &Thoughts in Between: Giggle Junction I Spy Bag: Review & Giveaway!! This giveaway is currently closed. 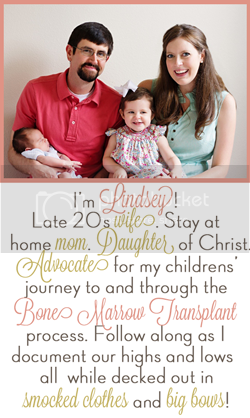 The winner is Allison Dossett! Allison, I will email you with details! While planning our Disney trip, I had major anxiety about out flight. Now, I am a pro Business traveler. Pre-babies I was jet setting all over the world 90% of the time. I can do first class, adult beverage in hand, relaxing, solo travel. I traveled with Kate a good bit before she was diagnosed so I was also comfortable with traveling with a non-mobile baby. But the thought of traveling with two kids - a very active toddler and a baby that is rather sickly - had me downing anxiety meds and wishing all tickets purchased with a lapchild came with bottomless beverages. I was determined to have activities on the plane for Kate. I ordered her a backpack (thanks SheShe!) and kept telling Kate that her backpack would be filled with prizes for our flight to see Mickey. As I was browsing the internet for ideas, I came across Giggle Junction - a precious Etsy shop that makes I Spy Bags for kids. The owner, Michele, hand makes these bags in so many cute designs! We opted for the Princess Castle for Kate because she is obsess with princess and it fit perfectly with our trip to the land of magical Princesses! These I Spy Bags are filled with objects for your child to search for and identify. Essentially, it is a much more interactive version of the I Spy books we were all raised on! Unlike a book, the I Spy Bag helps develop fine motor skills as your child sorts through the "filler" beads to find an object. They also act a type of flash card which helps your child learn new objections/ words while playing! 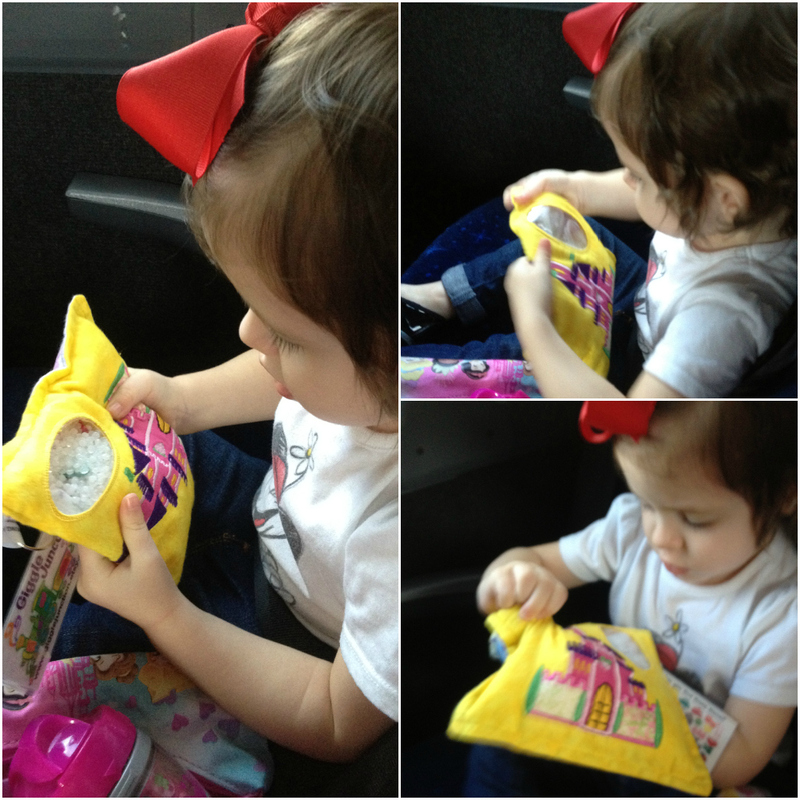 Kate was fascinated with her I Spy Bag when we pulled it out on the plane! She and Alex played with it for nearly 15 minutes which is HUGE for my two year old that never sits still. I wish I had pictures of Kate and her bag on the plane but I was busy attempting to get Will to sleep and couldn't find a third arm to snag a picture! We pulled her I Spy Bag back out while riding the Magical Express to our resort and again, it was a HUGE hit. I now keep Kate's I Spy Bag in the diaper bag! It is a great distraction when we are waiting at doctor's appointments, stuck in traffic, at the grocery store, or anywhere else where I need to contain the beast keep Kate occupied! I love that Kate's vocabulary has expanded as she learns all of the objects contained within her bag and I really feel like searching and moving all of the beads/ objects around has really helped developed her fine motor skills! I'm excited that Michele has offered to give one of my readers their very own personalized I Spy Bag! You will be able to select your "theme" and Michele will add your child's name to the bag as well! I know y'all will love this product as much as we have! This is my first time using Rafflecopter so please let me know if something isn't working properly! Oh - and we would choose the Mater I Spy Bag because Connor is obsessed! I've been following your blog and story for a while now but have never commented. Your kiddos are absolutely adorable. Its so nice to see Kate doing so well. The I Spy bags are adorable. I would love a couple for my kiddos! G would love the fire truck! So cute! my son would love the Mater bag! I love the Fire Truck Options! My two year old is obsessed with fire trucks right now! I think Colston would love the pirate ship I spy bag! Mason would love the Fire Truck one! These are so cute! Abby would love the purse I Spy bag! OMG obsessed with these! I think we love the unicorn bag, but the princess castle and love birds are a close second! Either way, Emerson will love this!! I <3 the police car. I may have to get one of these kits for our plane trip in December (if I don't win of course)! I like the paint option because it would be good for both my boy and girl toddlers. My son would love the dump truck one!! I love the Unicorn and Poodle 'I Spy' bags! So cute!! I love the paint palette & sesame street bags! Those are so cute! I think my daughter would choose the ladybug or the other bug one. Would you make a grasshopper bag? She'd be obsessed! Pretty sure I will be ordering a few of these asap! They look like so much fun! Pretty sure I will be ordering a few ofthese asap! They look like so much fun! I really like the barn I spy bag. It would work well for my son or my daughter. They are all pretty cute though! I like the monster bag! It could go for my son and both my daughters, too cute! I have B/G twins so I would choose the pirate girl and the pirate ship. Love these. I LOVE the train bag for my son. He's big on trains right now. I <3 the turtle bags! I love the turtle bags soooo cute!!! I would love to win the Elmo bag for our daughter, who is currently into everything Sesame Street related, or the turtle, which seems to be her favourite animal right now. My daughter would go crazy for the elmo bag. What a great idea! Super cute! My little guy would love this! Such a fun idea! Lucas would love it! My son would absolutely love the turtle bag! We are going to Disney World in March with an active 2 1/2 yr old by that time, and I have been looking for distractions for the plane ride also! I love the Cow I Spy bag and the unicorn, hard choice! Very cute. Would love to have it for several upcoming flights with Jack! What a great idea! B would LOVE the Mater bag! What an amazing idea! I know what I'm giving as Christmas gifts this year :) I would love to enter the drawing as well, but I can't view rafflecopter on my computer (it's at work.) Can you sign me up? There's so many, I'm not sure which one I like the best! We are flying in march with our two year old. What a great idea!! LOVE these! DD would love the Unicorn one! These bags are genius! My little boy would love the baseball one. I know I will have to get him one for our trip to Florida for Christmas. What an awesome idea! My girls would love the princess castle one for sure! These would be fantastic on our 5-hour trips back and forth to our family for the holidays.